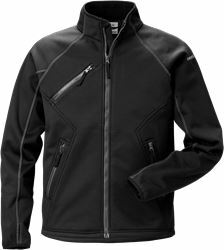 Functional hooded softshell jacket designed for the modern craftsmen. 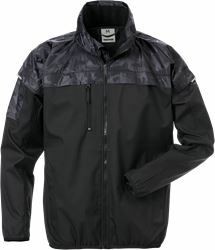 Windproof, water-repellent and breathable stretch jacket with great movability and comfort. 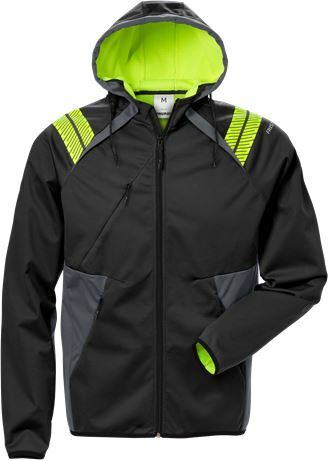 Perfect for use during most of the year. 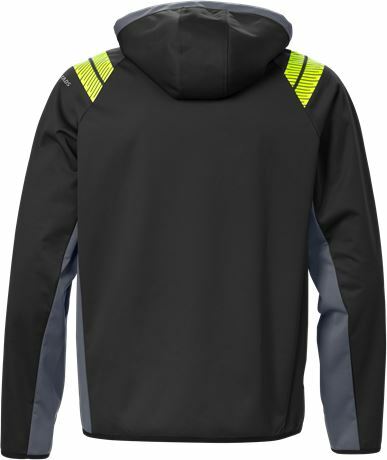 Breathable, windproof and water-repellent / Raglan sleeves / Full length front zip / Adjustable hood with drawstring / Reflective details on shoulders / 1 chestpocket with zip / 2 front pockets with zip / Thumbgrip / Elasticated ribbon at bottom and sleeve end / Extended back / OEKO-TEX® certified.